As in many other countries, here in Beirut, Lebanon the Logos Hope is happy to receive visits from many local schools. Thousands of students visit the ship each day to browse the book fair and to experience a drama. Since it is Christmas time we have put aside our regular program and have made space for a local production company called Just For Kids to present a Christmas musical. 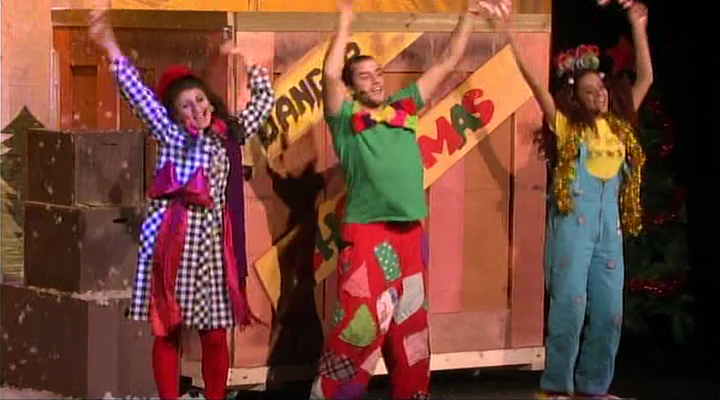 Without giving too much away, the musical centers around two pirates who put Christmas in a box and try to hide it from the world, and three silly characters who find the box and discover Christmas. What they discover inside the box at first is only superficial but as they look deeper they find something more meaningful.